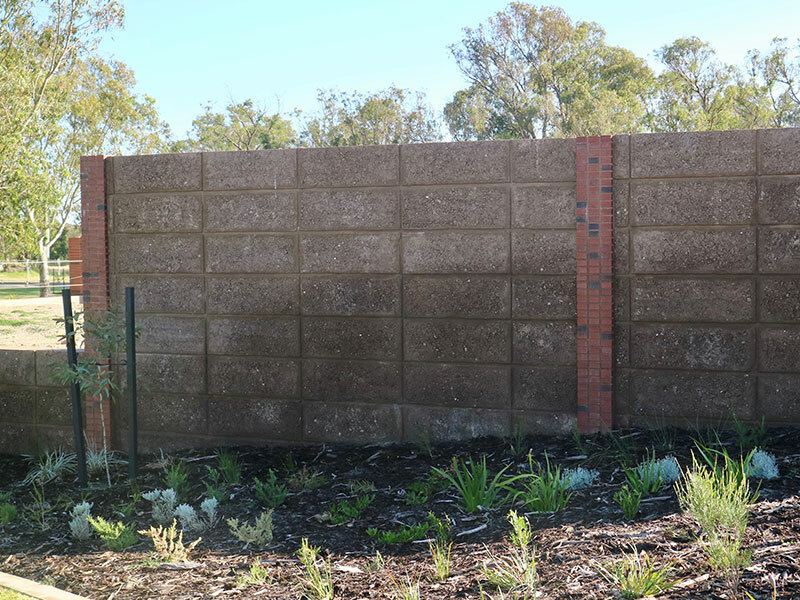 Rose Hill Waters Estate located on the fairways and greens of the former Rosehill Country Club is a new development that is embracing all that is environmentally sustainable. 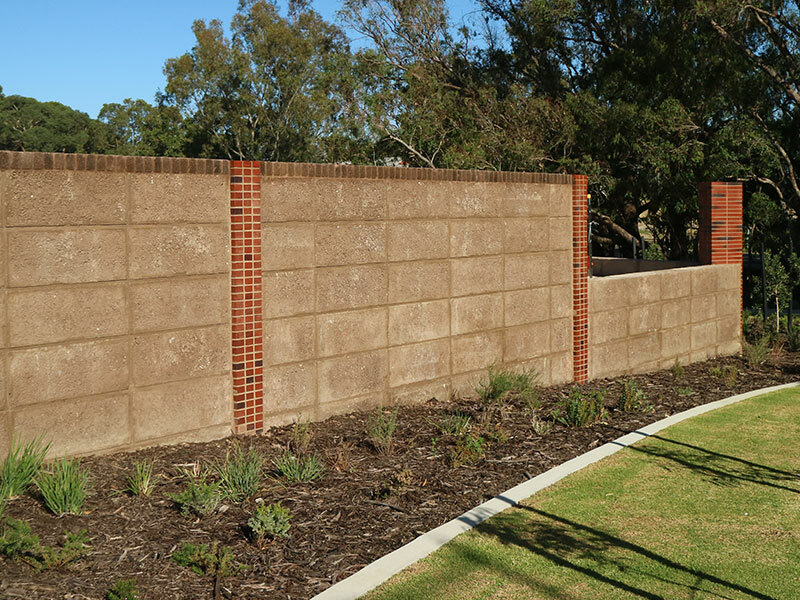 The architects on this particular project were looking for a bespoke design in much of the structural construction for the hardscaping of the individual residential lots, community areas and landscaping. Due to much of the contours of the site remaining , retaining walls were a prerequisite. 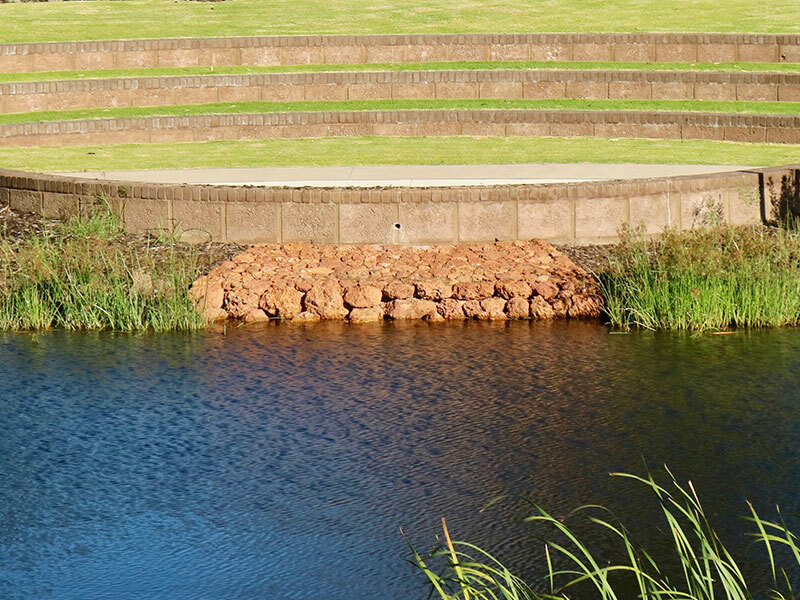 The architects brief was to construct retaining walls that would match a predetermined colour pallet , reconstituted limestone or gravel/laterite was not accepted. Nothing in the current market would meet this requirement. Stoneridge took up the challenge to deliver a unique product. Recycled construction materials was sourced and sorted to retain materials with strength and durability. Quality control testing carried out to ensure design specifications were being complied to. The final product produced from 100% recycled materials which is keeping to the ethos of the development was presented to the design architects. It was well received and endorsed for the initial stage of the project.